The security guards in Vancouver, BC create an environment that is not only safe but also engaging and inviting for visitors and personnel. 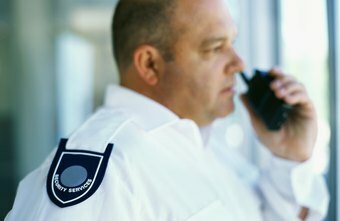 Optimum Security is one of the providers of security services in Vancouver and offers their clients with certified and professional security guards. This Vancouver security company has ensured that it maintains a high client retention rates while maintaining a low employee turnover within the entire period they have been in service. As one of the top-rated security companies in Vancouver, Optimum Security has undertaken all its security officers through a serious certified and professional training. This kind of training consists of several hours of classroom training before these security guards begin to provide security services in Vancouver. This is done to ensure that all who serve in this area of security service provision are well-trained and can handle any kind of attack. Security training is one of the areas that has seen several improvements all over the globe. This is done to ensure that all the partakers in this industry are highly trained. The industry has also seen the introduction of several advanced equipment to help in maintaining law and order within residences and homes. Some of the areas that are entailed in the Vancouver security guard training include the package and delivery control, security patrol services, Identification cards & pass systems, video surveillance and elevators. Other services in the security systems are bomb threats, fires, locks, and other kinds of natural disasters. This makes all of these security guards to be held to a high degree of professionalism and performance. A reputable security officer should be able to undergo a criminal background check and are registered with the right state and local licensing boards. Optimum Security considers customer satisfaction as their top priority. This explains why they have become the top choice of business owners and residents in Vancouver, BC. This is one area that has had a lot of concerns I regard to the security of property. Get in touch with Optimum Security today and have the best security services.